“If thou bear the cross cheerfully, it will bear thee.” – Thomas A’ Kempis. A warm welcome to this web site, part of the Christianity in View series of websites, which examine the Christian Faith. This web site focuses on the essential beliefs and practices of the Roman Catholic Church*, the largest tradition within Christendom. The word ‘Catholic’ comes from the Greek phrase καθολου (kath’holou ), meaning ‘concerning the whole’. The word ‘Catholic’ can also be understood in English to mean ‘universal’. * Officially called the ‘Catholic Church’. Vote for your favourite Catholic. Complete a Survey designed for Roman Catholic Christians. This web site makes reference to official documents such as Papal Encyclicals and the Catechism of the Catholic Church (CCC), which is the official guide to the Church’s faith and practices. Scripture references are from the Douay-Rheims Bible (DRB). This is a translation into English of the Vulgate, the official Catholic version of the Bible, which was written in Latin. The Vulgate was translated directly from the original Greek text by St. Jerome (c. 340-420). Other versions in modern day use include the New Jerusalem Bible, New American Bible (NAB) and the popular Revised Standard Version (Catholic edition). 1,229 million adherents making up 17% of the world population. The Catholic population of England and Wales. The Catholic population of Europe. Statistics from the Pontifical Yearbook for 2016. Source: Pew Forum report on Global Christianity. From 1970 to 2014, the Roman Catholic Population worldwide grew from 653.6 million to 1,229 million, roughly matching the overall population growth during this period. The US total of 17,464 for Permanent Deacons in 2014 was 41.5% of the worldwide total of 42,104. In 2014, 24% of Catholics surveyed in the US attended Mass every week, an increase of 2% since 2000, but a fall of 31% since 1965. 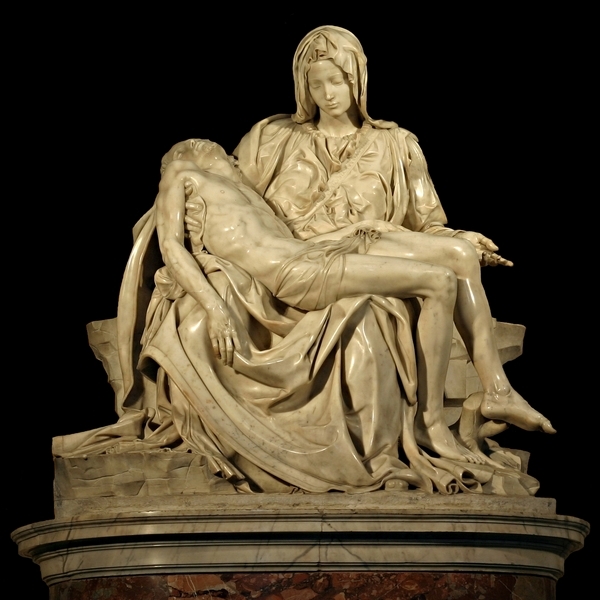 Pieta, by Michelangelo (1475-1564), St. Peter’s Basilica, Rome. The Virgin Mary mourns the death of Christ. A detailed article on the differences between the Catholic and Orthodox churches is given by the Orthodox Church in America (OCA). Of particular interest to many is the comparison of the Catholic faith in comparison to Protestantism, which has five foundational principles known as solae (Latin: ‘alone’). Salvation is the free gift of God to man. It is obtained by God’s Grace alone and not through any merit on the part of the Christian. GRACE = God’s Riches At Christ’s Expense. In Catholic doctrine, Salvation is obtained by God’s Grace through faith; faith which is active, not passive. Salvation is through the grace of God which is “infused” into us. This grace is freely given, but men and women are responsible for co-operating with it. Primarily, this is done through participation in the Sacraments, which are seen as channels of grace. This grace of salvation (known as sanctifying grace) can be lost through committing mortal sin, but regained through the Sacrament of Reconciliation or Penance, which involves confession, repentance and forgiveness. We are judged righteous in the sight of God purely on the basis of our faith. The atoning sacrifice of Christ leads to righteousness being imputed to us as sinners through a legal declaration by God. This is often stated as Justification by faith alone. There is a clear distinction between Justification and Sanctification, the latter being the growth in holiness arising from the work of the Holy Spirit in the Christian. FAITH = Forsaking All I Trust Him. As with Grace, the Catholic view is that good works accompanied by our faith, form the basis for our justification. Christ is the one Mediator between God and man and our salvation is accomplished only through His death and resurrection. 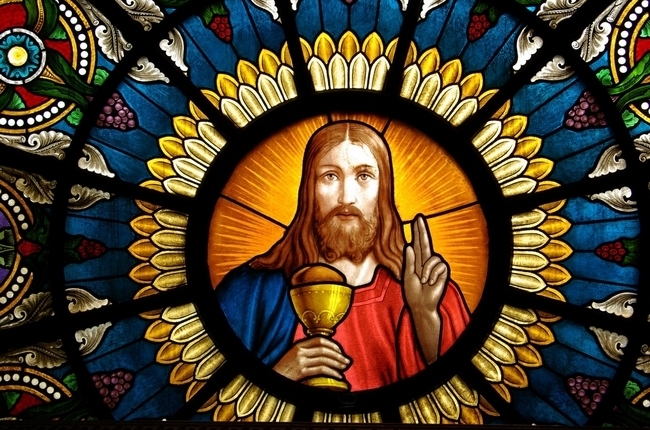 Catholicism accepts Christ’s sole mediatorship between God and Man, but it argues that this does not exclude secondary mediatorships that are subordinated to Christ. 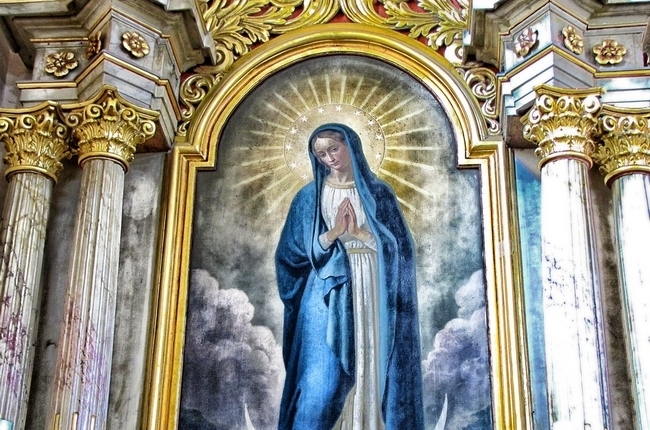 On this basis, the saints (including Mary) can act as mediators. Mediatorship can also take the form of that exercised by the priesthood. For example, a validly ordained Priest can celebrate the Mass, which, as a Sacrament acts as a vehicle for the dispensation of Grace. However, the Catholic view is that there also exists a special or “ministerial” priesthood, which has its roots in the Biblical priesthood outlined in the Old Testament. 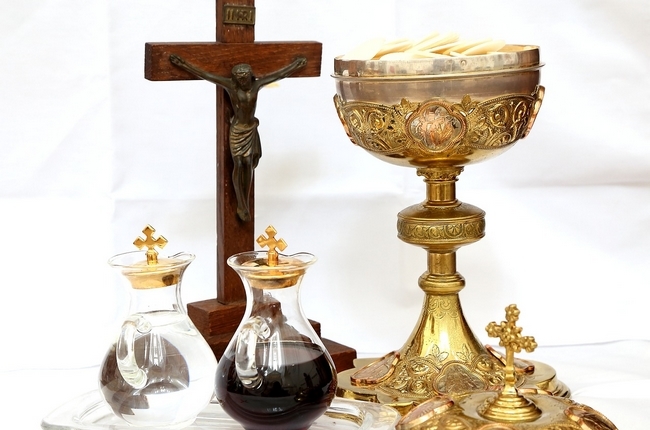 Thus ordained priests are able to offer sacrifices to God (especially the Sacrifice of the Mass) and absolve people of sins (through the Sacrament of Reconciliation). Scripture alone is the only infallible source of divine revelation and the final authority for matters of faith and practice. Sola Scriptura does not mean that all truth is contained in the Bible, rather that all we need to know for salvation is contained within it. The Catholic view is that alongside Sacred Scripture, Sacred Tradition (that is, those teachings which have been handed down from the Apostles) constitutes divine revelation. Interpretation of this revelation has been entrusted to the Catholic church through the magisterium or teaching authority that it possesses. This it is claimed, was given to it by Christ himself. The Pope as the visible head of the Church on earth, and the successor of Peter, acts with the authority given to him directly by Christ in Matthew 16:18. Scripture and Tradition together form the fidei depositum – the sacred deposit of faith. Every aspect of the Christian life is to be seen as giving glory to God. This was a reaction to the honour given to the Papacy and the saints and in effect, underlies the other four Soli above. The Papacy and Mary and the Saints are discussed on this web site. » This website also has a Quiz, which compares Protestant and Catholic theology. » Also available is a Comparison table between Orthodoxy, Protestantism and Catholicism. The second Vatican council which was held from 1962-5, demonstrated the commitment of the Catholic church to engage in building closer relations with the rest of Christendom. Pope Paul VI set up the Secretariat for Promoting Christian Unity (now called the Pontifical Council for Promoting Christian Unity) as a permanent department devoted to dialogue with other Christians. The implications of this are that Protestants and other non-Catholic Christians are regarded as ‘Separated Brethren’, sharing a common baptism with the Catholic Church, but also being in imperfect communion with it. The second Vatican council also published a document named Lumen Gentium (Light to the Nations), which discussed the issue of how the Catholic church relates to other churches. In other words, the original church of Jesus Christ dwells in the Catholic church, but other Christian churches are also to some degree part of this church and can be instruments of salvation insofar as they possess elements of the truth. 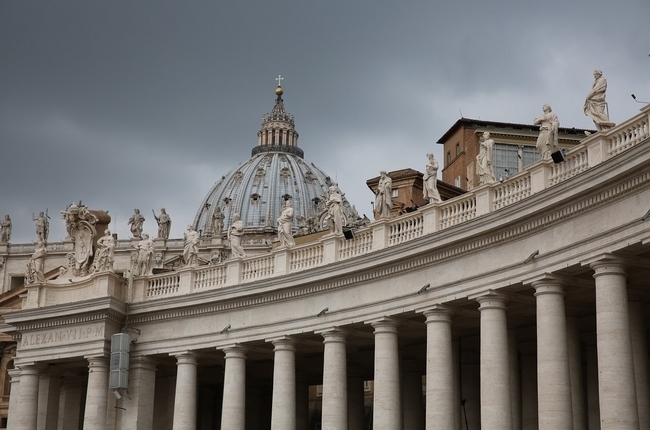 Building on Vatican II, 1994 saw the signing of Evangelicals and Catholics Together, a framework document to move toward a much closer understanding between the two groups. The full text of the ECT accord may be viewed here. Also of note is the article: ‘My respect for Protestants’ by a former Protestant, now Catholic (Dave Armstrong). Both are found in the ‘More information’ section. I have also written a reply to Dave’s article entitled “My Respect For Catholics” which you will find in the conclusion to this web site. In 1995, Pope John Paul II published the encyclical Ut Unum Sint (Latin: ‘may they be one’). In it, the Catholic church reiterated its desire for closer relations with the other branches of Christianity and also outlined five important subjects that are considered important for doctrinal agreement. In 1999, representatives of the Roman Catholic Church and Lutheran World Foundation signed The Joint Declaration on the Doctrine of Justification, the issue of Justification being a fundamental cause of the Protestant Reformation. In 2006, the declaration was accepted by the World Methodist Council. 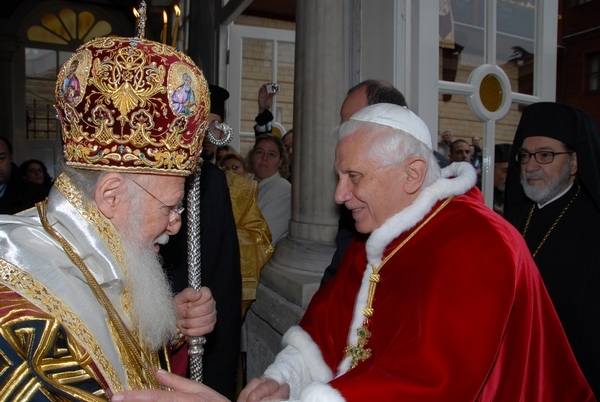 In 2006, Benedict XVI met with the Ecumenical Patriarch (Bartholomew I), who has a position of honour as first among equals in the Orthodox church. Building on previous developments both leaders issued a Common declaration, indicating their commitment to closer co-operation. » Also available are web sites on the Protestant and Orthodox traditions of Christianity. 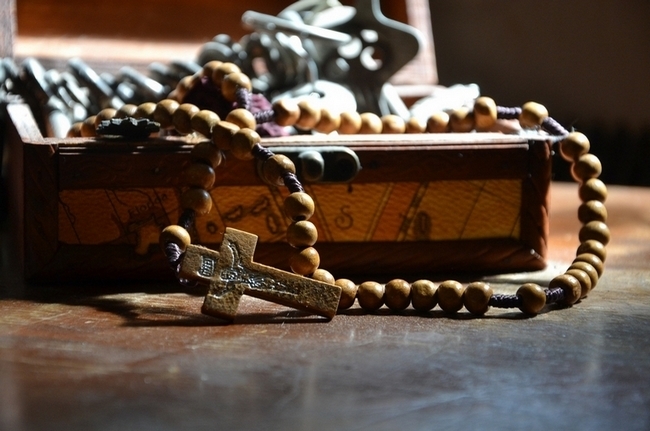 » A Comparison table between Orthodoxy, Protestantism and Roman Catholicism is available. May God bless you as you read these pages. Who is your favourite Catholic? Shown is the crest of the current Pope, Francis. "The shield has a bright blue background, at the centre top of which is a yellow radiant sun with the IHS christogram on it representing Jesus (it is also the Jesuit logo). The IHS monogram, as well as a cross that pierces the H, are in red with three black nails directly under them. Under that, to the left, is a star representing Mary, Mother of Christ and the Church. To the right of the star is a nard flower representing Joseph, Patron of the Universal Church. With these symbols the Pope demonstrates his love for the Holy Family."